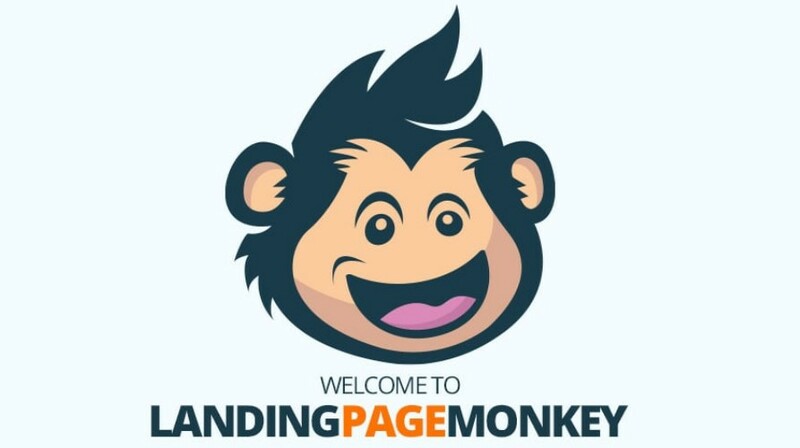 3ptechies » Reviews » Landing Page Monkey Review 2019: a Better Squeeze Page Builder? Landing Page Monkey is a tool to create highly converting squeeze pages easily. It is a super productive squeeze page builder for online advertisers, digital marketers, bloggers, and SEOs. This exciting landing page builder has been making waves for a long time which prompted this short LPM review. Before going on to share my experiences with Landing Page Monkey, I’ll like to introduce the tool to those who might be hearing of it for the first time. This guide will help you see how Landing Page Monkey makes it super easy to Create Unlimited Squeeze Pages Quickly. Don’t know what a Landing Page is? Landing Page Monkey is an extremely flexible and highly intuitive platform that lets you generate/create engaging landing pages faster. You won’t have to install any app or software to create captivating pages with this platform; it is entirely web-based. Very much interestingly, LandingPage monkey will host an unlimited number of pages for you. Even so, you could use animations or videos as your background. This Squeeze Page creator tool has risen to fame in recent times due to its high-capabilities. It is not the only landing page generator, but, pages created with Landing Page monkey are spectacular as they usually stand out. Even newbie marketers or web business owners can make attention-grabbing pages with this landing page creation tool. This is possible because it does not require any learning curve or earlier web programming knowledge. Furthermore, LandingPage Monkey supports all popular email marketing and/or Auto-Responder services: You can easily integrate it with MailChimp, Aweber, Getresponse, and any other email marketing services you choose. With Landing Page Monkey, you need not bother about cross-platform optimization or where to host your landing pages. This is because Landing Page monkey makes your Squeeze pages compatible with all devices and platforms, plus, your pages will be hosted freely on LandingPage Monkey’s high-speed server. One of the sweetest function of Landing Page monkey is its seamless compatibility with all platforms and devices; whether a visitor is viewing your page with a mobile device, tablet, or even a computer (laptop/desktop), your Squeeze page created with Landing Page Monkey will load excellently on these devices. Creating a page with Landing Page monkey doesn’t require you to follow a lengthy guide or pay someone to do it on your behalf; the processes are just self-explanatory. Simply sign up and create your account; right from the dashboard, you’ll be guided on how to create your first and several other landing pages. Everything you need to manage your page effectively is available on the dashboard. It is a simple, yet, comprehensive dashboard with all the possible options you may need to run an effective, converting landing page. Even so, you could clone a page instantly using the “clone” option. In the same way, you can further edit a live landing page easily without a single downtime. Also, after a campaign is done and dusted, you can delete the landing page if you wish. Quite a lot of other resourceful options is available on the Landing Page Monkey’s dashboard. You can use videos for your Squeeze Page background. These videos could be Youtube videos, Vimeo videos, videos hosted on Amazon S3 server, or your server. Even with a video background, LandingPage Monkey tries to optimize your page to load faster on all networks. Unlike other platforms that work with HTML codes, LPM doesn’t require you to have any knowledge of HTML before using a full-screen video or animations as your backgrounds. LPM makes it super easy to integrate with all popular email marketing services. Getting other services to work on the Squeeze pages you generate with Landing Page Monkey is almost effortless. It features a built-in “add script” option which you can use to integrate any service of your choice for highly effective campaign conversions. If you already have a fast server, you can host your landing page there; nevertheless, if you do not have an existing hosting server, LPM provides an option for its users to host their landing pages on their high-performance server for free. Well, if it were me, I’d host my landing page on their server to have someone I can hold on to in case of downtime or poor conversions; however, there hasn’t been any report of downtime from LPM users whose pages are hosted on LPM infrastructure. Email marketing and Autoresponder services providers such as AWeber, MailChimp, RapidMailer, arpReach, etc. are compatible with LPM pages. Fortunately, if your auto-responder SP is not available or compatible with LPM on default, you can use the “custom” option to integrate the service. This is another exciting feature of this landing page generator. Professional marketers who work with a lot of clients will love this platform for this feature. There is no limit to the number of landing pages you can create with Landing Page Monkey. Landing page monkey is sold for $97.00 per year; that’s about $8.1 monthly subscription. New users can try landing page monkey for $1 and must decide whether to cancel or renew their service within seven days. Looking at the features and hosting support that comes with Landing page monkey, $8.1 per month is a killer price for it. Also, the $1 trial plan lets new users use the platform for one week (7 days) after which you’ll have to pay $97.00 annually to keep using the service. A 50% discount code is available to new users of the platform, and existing users also get some discount offers from time to time. Landing Page Monkey lets you get faster results through high-converting landing pages that includes a video background. This platform is surprisingly easier for creating pace-setter Squeeze pages. Already, there are tons of “premium” templates available which are great for designing any landing page(s) for different purposes. Also, the dashboard is easy-to-understand, and since you won’t be installing any software to create/design your pages, the whole processes of generating professional landing pages with LPM is just simple. The video background support makes your pages more engaging; animated or visual backgrounds tend to engage people more on a page than plain backgrounds. Landing Page Monkey is in simple terms – fast, more straightforward, and attention-grabbing. The price vs. feature is no doubt, value for money. I can’t see any reason to not recommend landing page monkey to any marketer that’s ready to grow his business with professional opt-in forms and attention-grabbing landing pages. There’s nothing more left than to take action. Start growing your email list with these excellent tools from landing page monkey creators. You can start with their trial plan or go through their Demo Pages to see the kind of beautiful stuff you can create with this highly flexible and super intuitive squeeze page builder. Well, this is a bonus to those who are not familiar with the term – “Landing Page”: Landing page or Squeeze page is simply a web page where an internet user is redirected to as a result of clicking on an advert, visiting your links from email/forum, landing from a search engine result, or other platforms around the web space. Online advertisers and internet marketers mostly use landing pages for their marketing campaigns. There are many ways to create a landing page other than using LPM. While web developers and designers can code landing pages by themselves, a graphic designer can’t. Tools like LPM makes it easy for newbies and professionals alike to create highly engaging landing pages for their business. Next ItemBacklinks Indexer Review 2019: a Super Useful SEO Tool for Marketers?